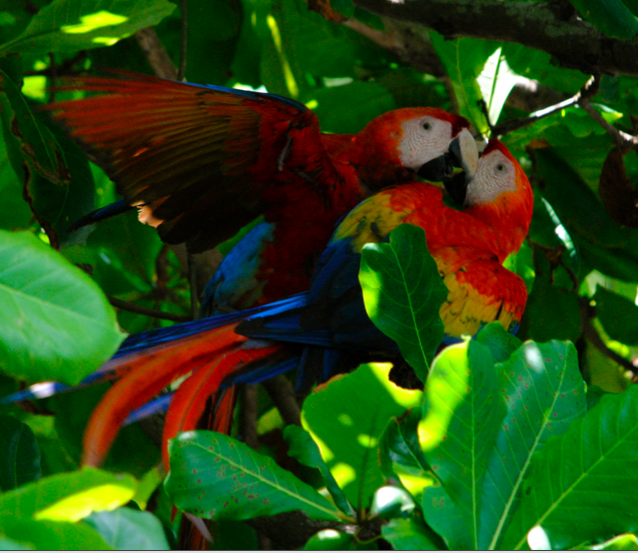 Visit the lush gardens, natural history museum and captive macaw breeding center at Ave Azul de Osa located in Agua Buena just 30 minutes from Carate or approximately 2 hours from Puerto Jimenez. 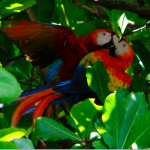 In association with the Kauai Zoo, Ave Azul houses and breeds four species of macaw for the purposes of conservation including the Hyacinth, Blue and Gold, Scarlet and Great Green Macaw. Established and run by Patrick Dunn and Rubyann Parsons, their mission is to make sure that these sensitive and endangered species populations persist through both captive reproduction and education. You can also find other tropical birds at their facility or walk their property to see many of the over 400 bird species and unique wildlife found on the Osa. Entrance fee is $10.00 per person. You can get there by taxi or by colectivo from Puerto Jimenez. Donations to their cause are greatly appreciated. Ground transportation to/from your lodging to Ave Azul de Osa is not included in the price of the tour.